I’ve finished the sleeping bag for my little niece or nephew. It was pretty straight forward. The pattern is a Burda pattern (9640), difficulty: easy. 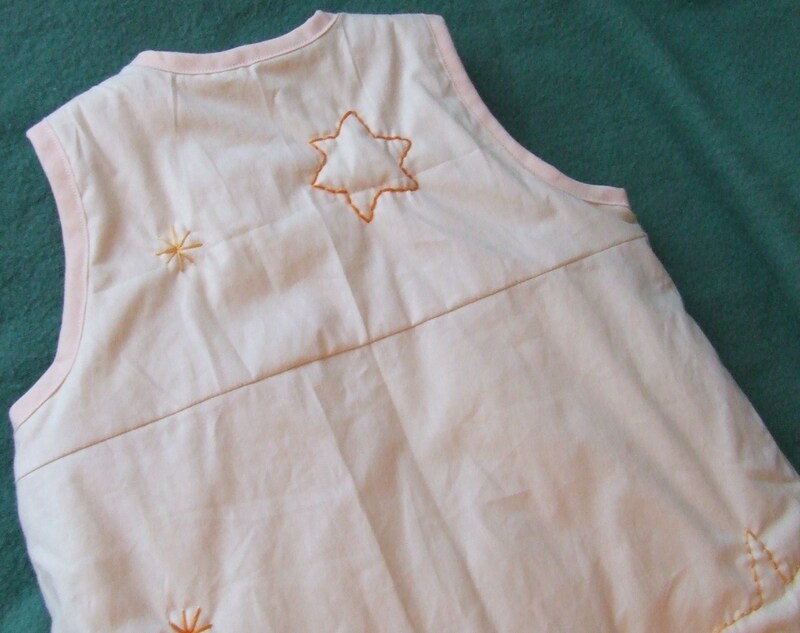 Although the pattern advised only two materials without wadding, I included cotton wadding as that made more sense. 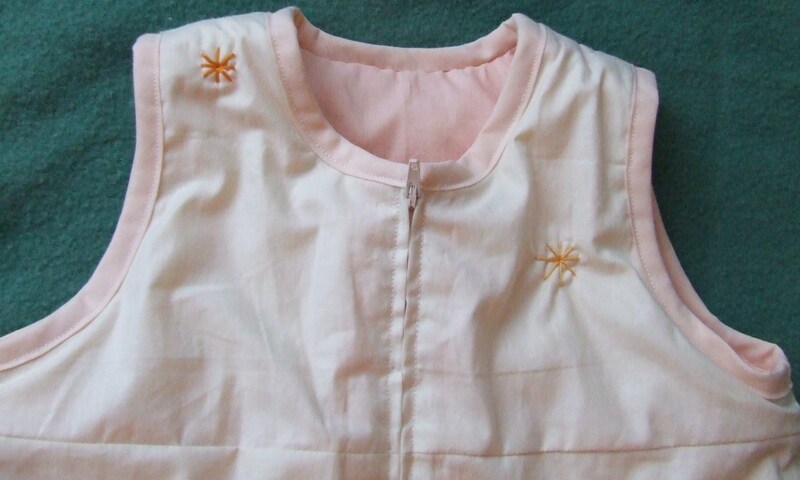 The material choice was easy, simple cotton in a light cream for the outside and an orangy yellow for the lining. 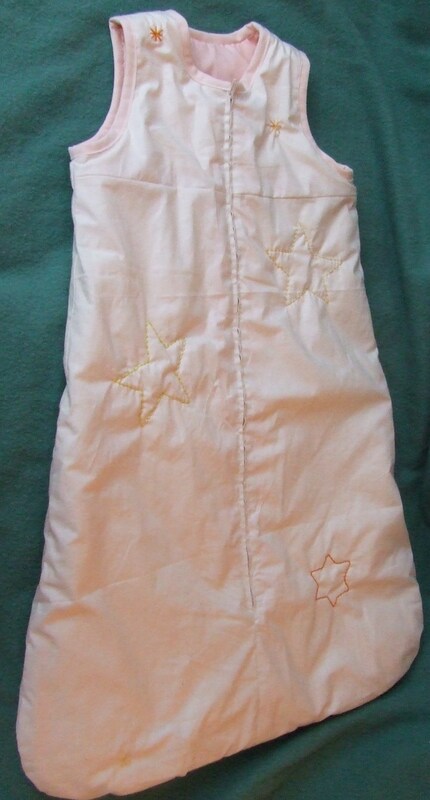 I’ve also stitched some stars onto the finished sleeping bag, to make it look less plain. 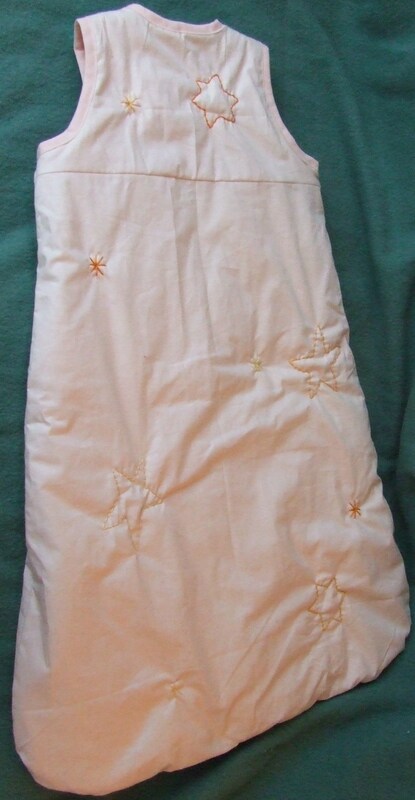 I’m really proud of the finished sleeping bag as it looks really snug and comfortable and the stars makes it extra pretty, whether the baby will be a boy or a girl. 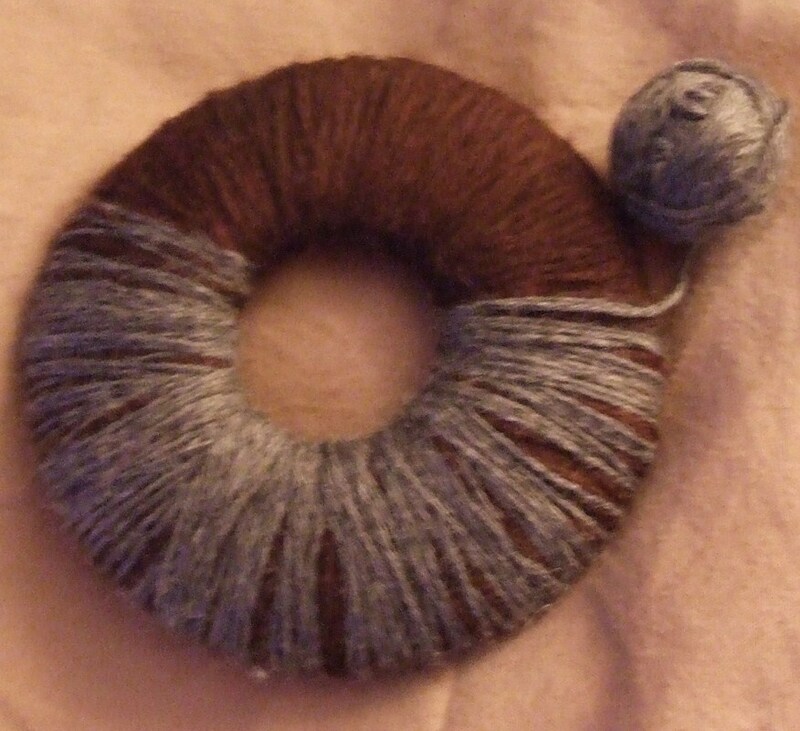 So, remember my post about Angel Yarns? I bought some amazing wool from them last week, as my brother is going to have a baby. This is going to be my first niece/nephew…as you can probably imagine I’m incredibly excited. 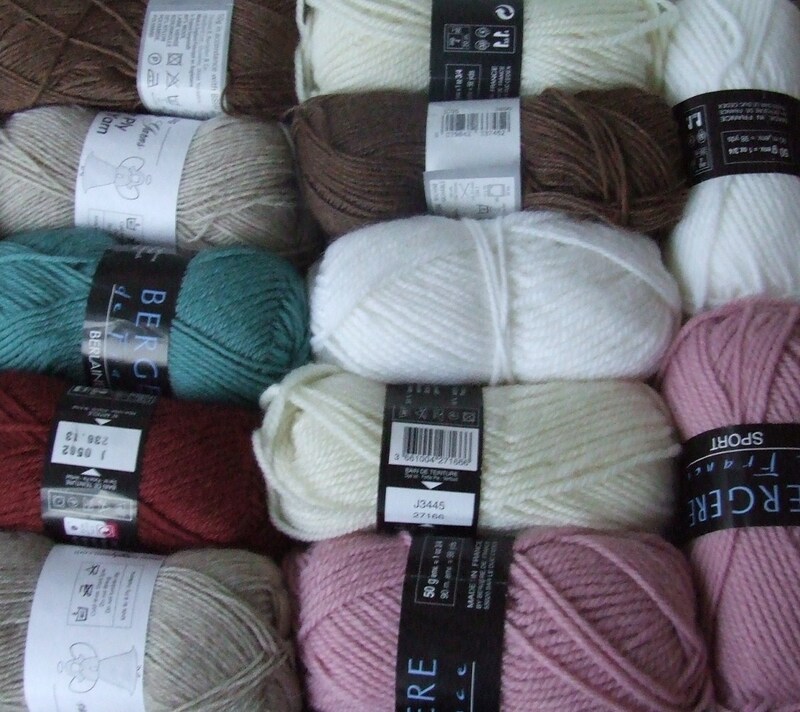 I’ve already got lots of plans to sew and knit… So, here’s a picture of the wool. We’re invited to a first birthday party for the son of a friend of ours on Sunday, so I thought I’d make him a wooly hat. Especially helpful as it’s getting a little bit colder over here. 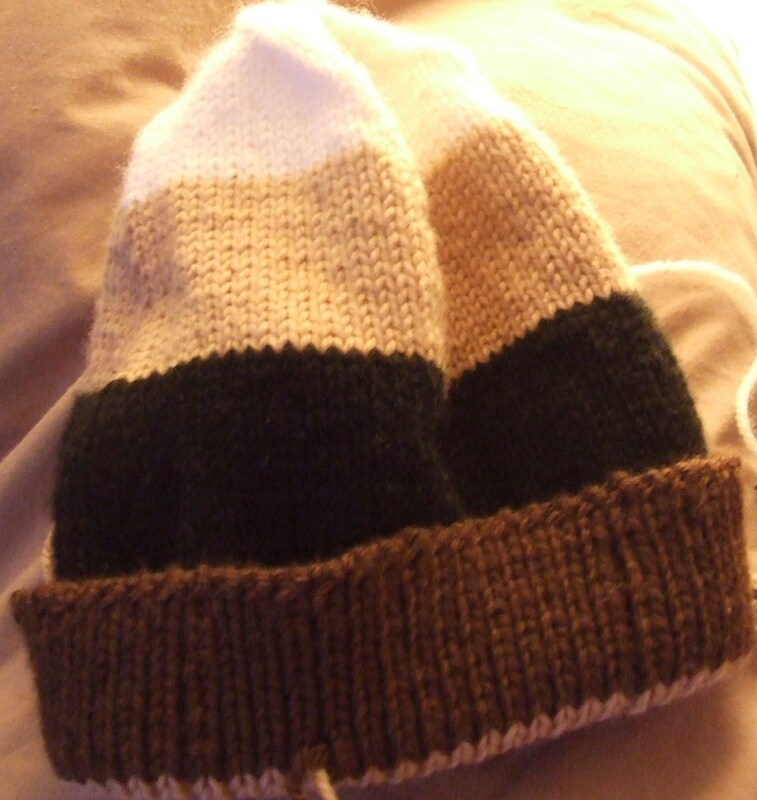 I’ve taken loads of the rest bits of wool that I’ve got left over and randomly used them when knitting the hat. I think the colours worked out really well. 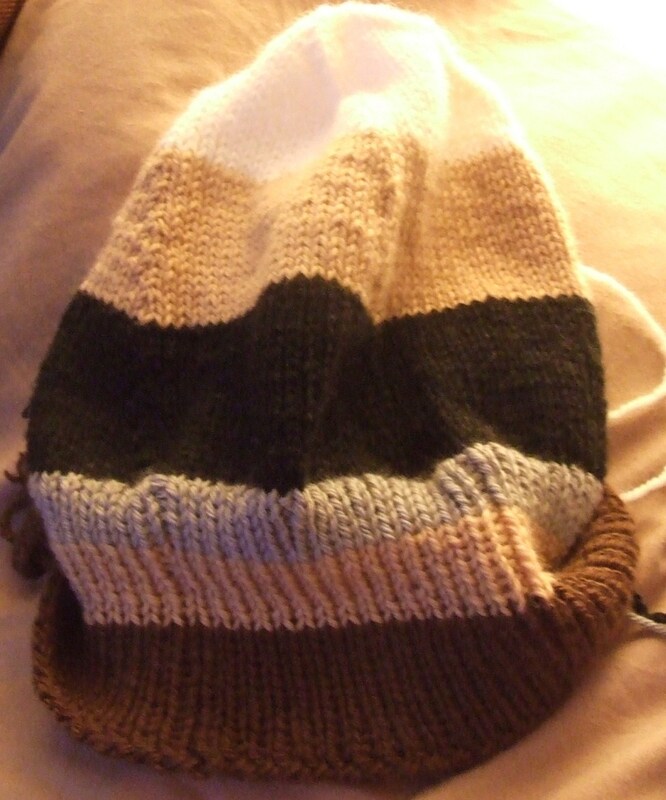 I’m also pleased to say that this time I didn’t actually use a pattern, but rather I made it up as I went along. It’s turned out ok, I think. 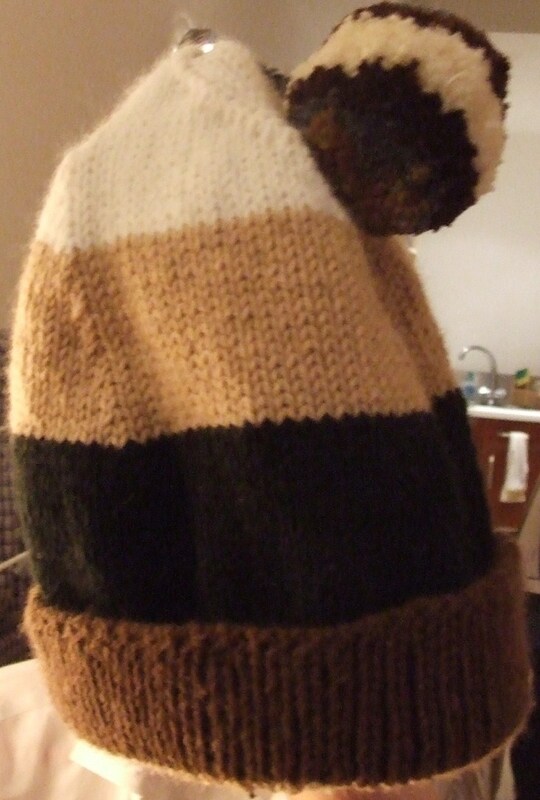 But the true test will be on Sunday when the hat gets tried on. As an added extra I made a pom pom, which was a little more challenging then I remembered, mainly because a few friends where giving me different ideas as to how to make pom poms…However, I found it easiest when I made them how I remembered, as you can see here. But check out the finished product…what do you think? I’ll also try and get a picture of the hat on the baby’s head on Sunday!